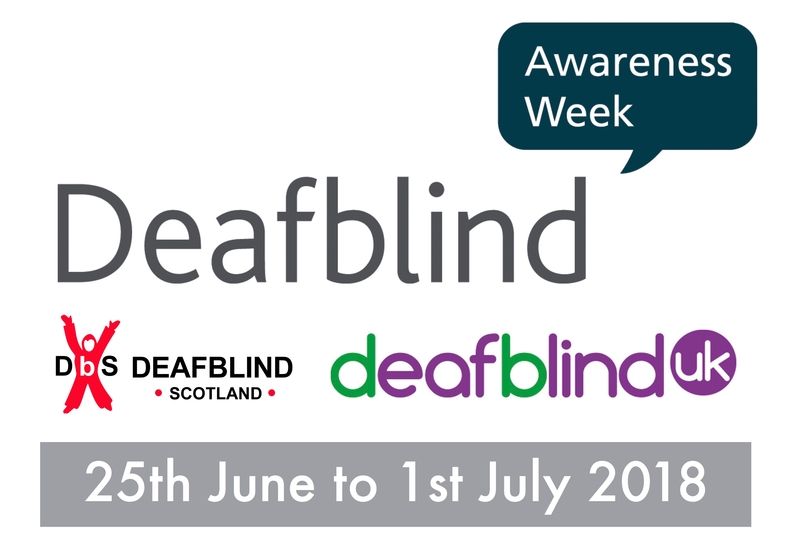 Sight and hearing loss charities host Deafblind Awareness Week. 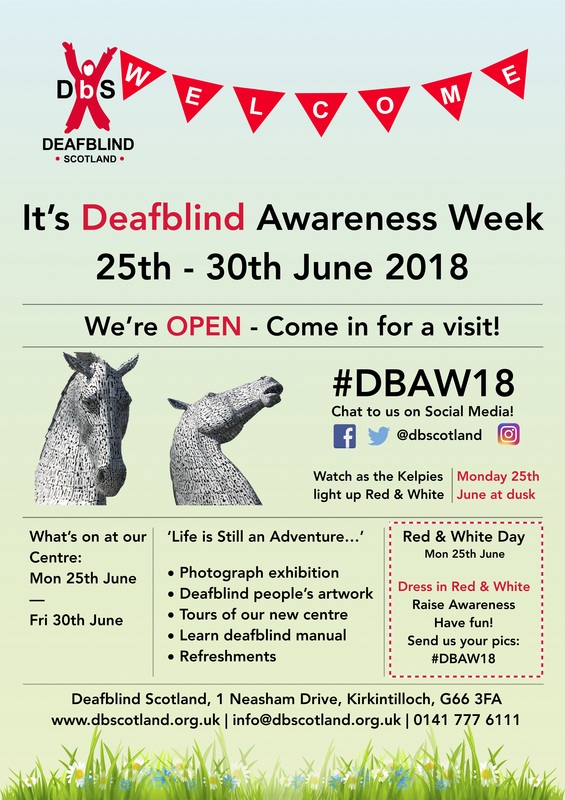 Deafblind Awareness Week runs from 25th June to 1st July 2018. 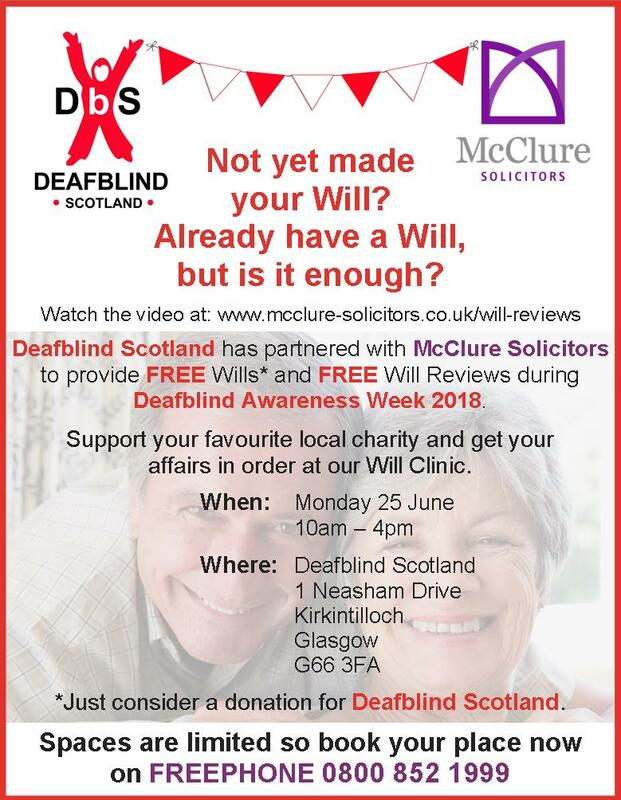 During this time, Deafblind Scotland, Deafblind UK, and other organisations will host a series of events and activities to raise awareness of dual sensory loss. Evelyn Brown – Video Blog here. Bob Nolan – Video Blog here. Hollie Whitfield – Hollie shares her experiences growing up with her dad who is deafblind. John (DBUK) – A deafblind archer’s story. John (DBUK) – A deafblind paraclimber’s story. Rogan Welsh – Rogan shares the experience of his late wife Emily acquiring deafblindness. 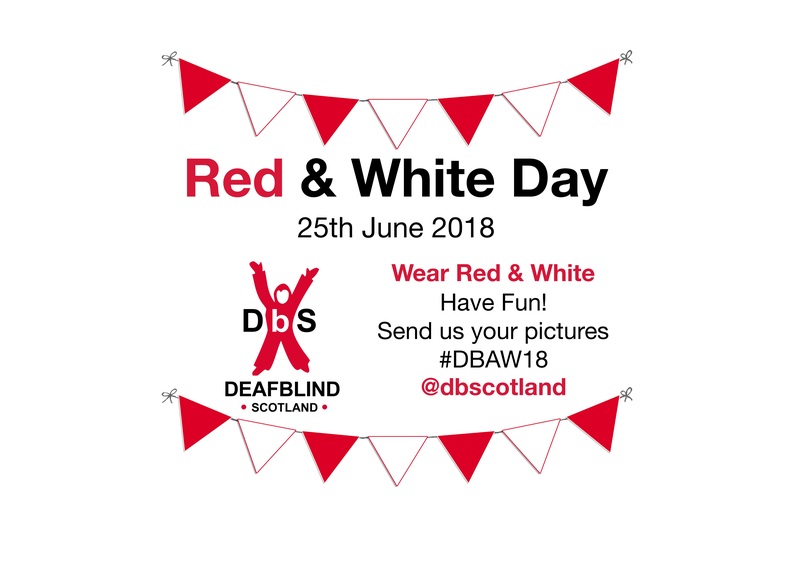 Dress in Red and White and raise awareness about Deafblindness. Encourage your friends, family and colleagues to take part too. 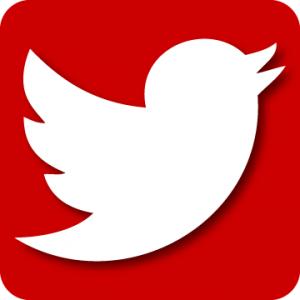 Live lunchtime Q&A on Twitter with DBUK and Community Care Opticians. Red and White Day Activities – Millersneuk Primary visited the new DbS Learning and Development Centre. Thank you to: Flawless, I Sew 2, Susan Kincaide Hair Salon, The Wee Fish Market, Solo Hair, Stewart Walker Newsagents, Nuthouse Barbers, Townhead Dry Cleaners, Townhead Bargains, Sinclair Pharmacy, U- Save, Billingtons, Rose and Thyme, Andrew King Optitions, Nuthouse Barbers, Town and Country, Pacitti Jones, Cornicopia, Gymnastics, The Grove, Da Carlo Fish and Chip Shop, No 52, DS Anderson CA, Lion and Star, Oak Tree Dental, Picolo, Phone Plus, Spec Savers, Rasol Lenzie, Reflection Hair Salon Lenzie, Town and Country Lenzie, N& S Motors Lenzie.